BOCA RATON, FL – What does it mean to be an Armenian? What have the Armenian people been through in 3,000 years? How have we flourished as a people and as a nation? These are some of the questions that Sayat Nova Dance Company of Boston’s (SNDC) production A Journey Through Time answered during their powerful performance on Saturday, January 24 at Florida Atlantic University, in Boca Raton. The event was held in commemoration of the 100th anniversary of the 1915 Armenian Genocide, in which 1.5 million Armenians were brutally tortured and killed by Turkish nationalists. 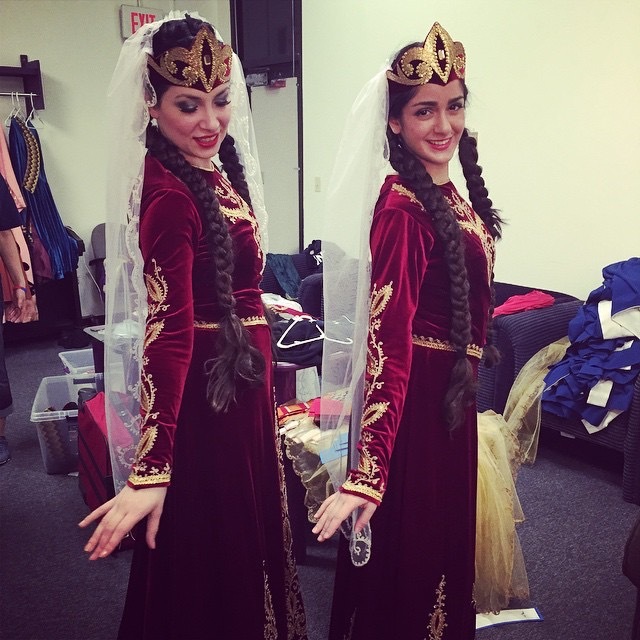 The show took the audience on a magical and heartfelt journey through Armenian history, in which the adoption of Christianity, the genocide, and the creation of a free and independent Armenia were portrayed. The program was organized into two parts. Part one, consisted of a travel through time, in which the audience met famed Armenian hero’s Saint Gregory the Illuminator in Khor Virab and Vartan Mamigonian in the Battle of Avarayr, among many others. Yet, the most agonizing encounter was with the twenty brides of Adana in 1909, where the audience saw the gruesome execution of twenty, innocent, young women. 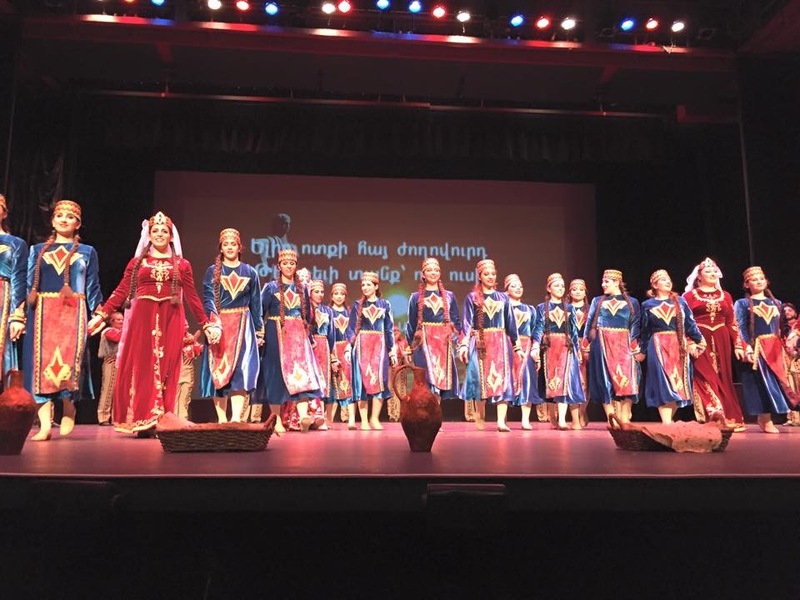 Part two, on the other hand, celebrated the many cultural and melodic dances of the Armenian culture, including crowd favorites, Kochari* and Nare Nare. 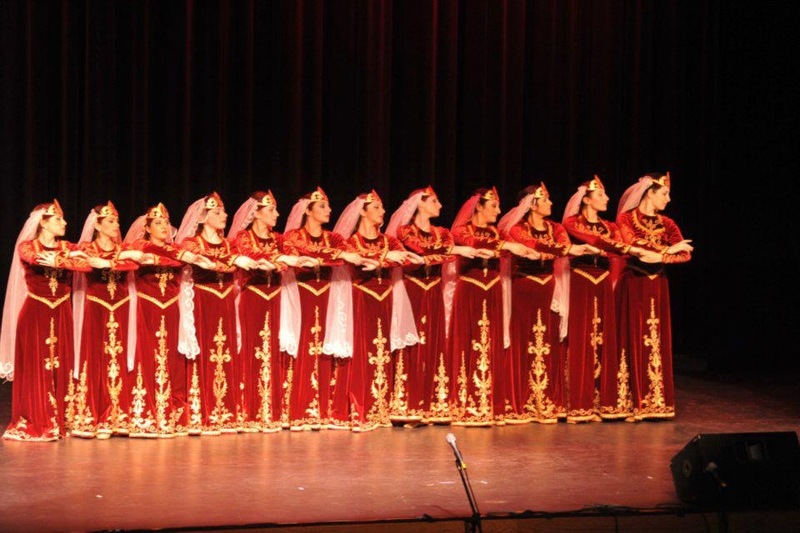 * This part of the production showed that, even amid tragedy, Armenians have always managed to stay connected to their roots and the essence of being Armenian; in addition to finding both peace and courage through the art of music and dancing. This wonderful event would not have been possible without the Armenian Genocide Commemoration, Inc. (AGC) and their efforts to raise awareness of the Armenian Genocide in Florida. Their mission is to educate Armenian and non-Armenians in the local community on a very dark time in world history. “I felt proud, relieved, wired,” stated Arsine Kaloustian, the Public Affairs Director of Florida Armenians and Chairman of AGC. “A lot of people and a lot of work went into bringing Sayat Nova to Florida. There were a lot of moving parts to this and to watch it come together so seamlessly was energizing. To know that it was the first official event in the USA that was commemorating the centennial was very emotional for me,” Kaloustian said.